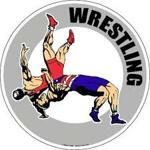 BJSA's Wrestling program is broken down into two groups: (1) Novice Wrestling and (2) Varsity Wrestling. Most varsity wrestlers are products of BJSA's own novice program. The Registration "BJSA Wrestling" is not currently available.